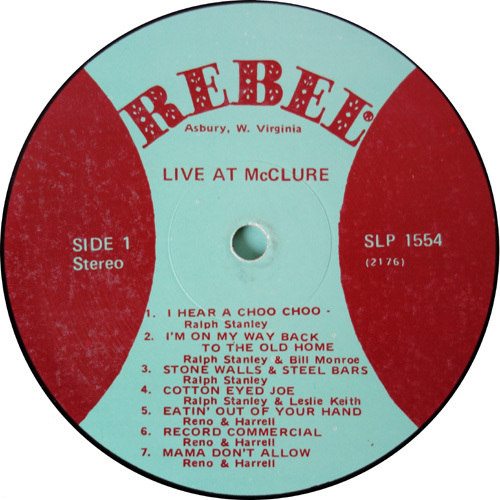 This album was recorded between the 23-25th May 1975 at Ralph's "5th Annual Memorial Festival" at McClure, Va. 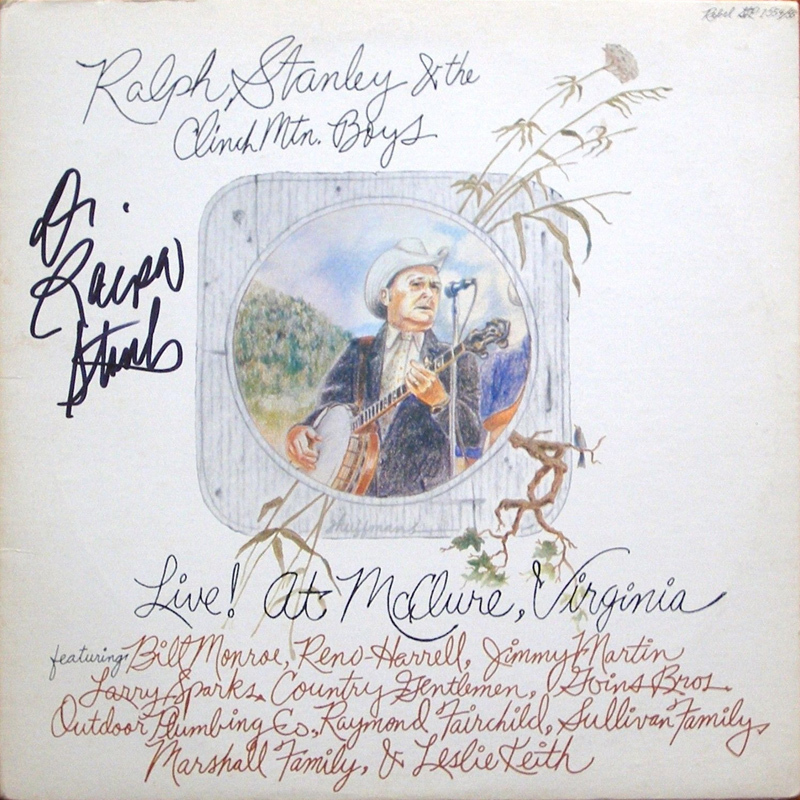 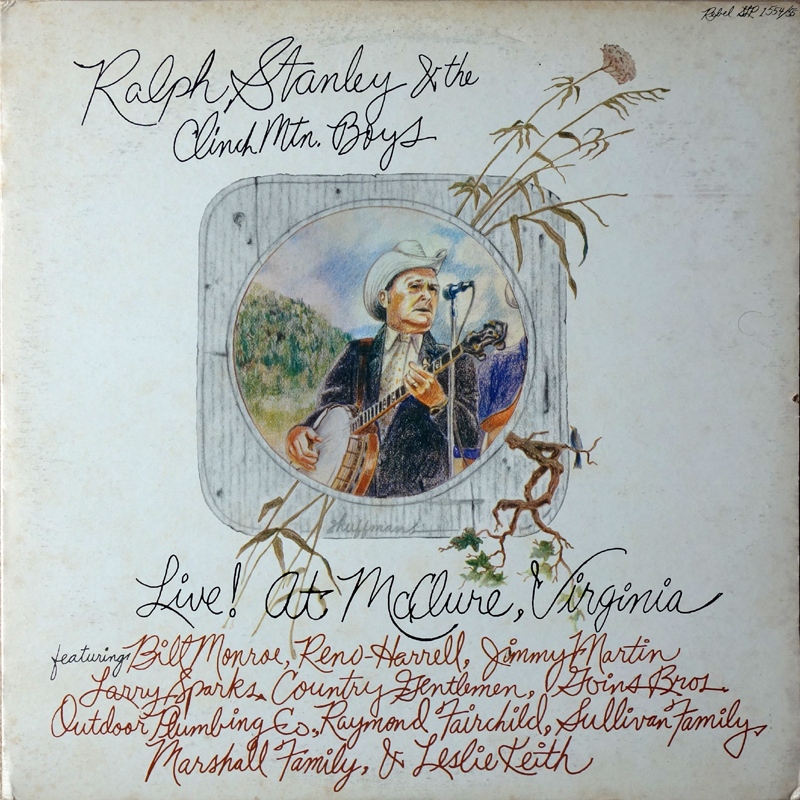 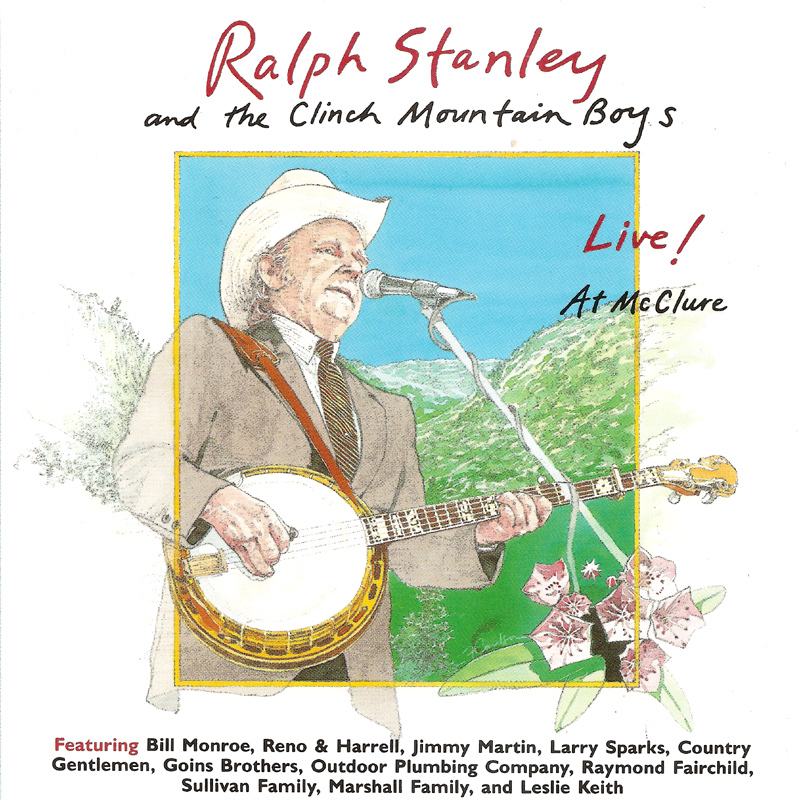 Although released as by Ralph Stanley, it features about a dozen of the artists/guests that played at the festival. 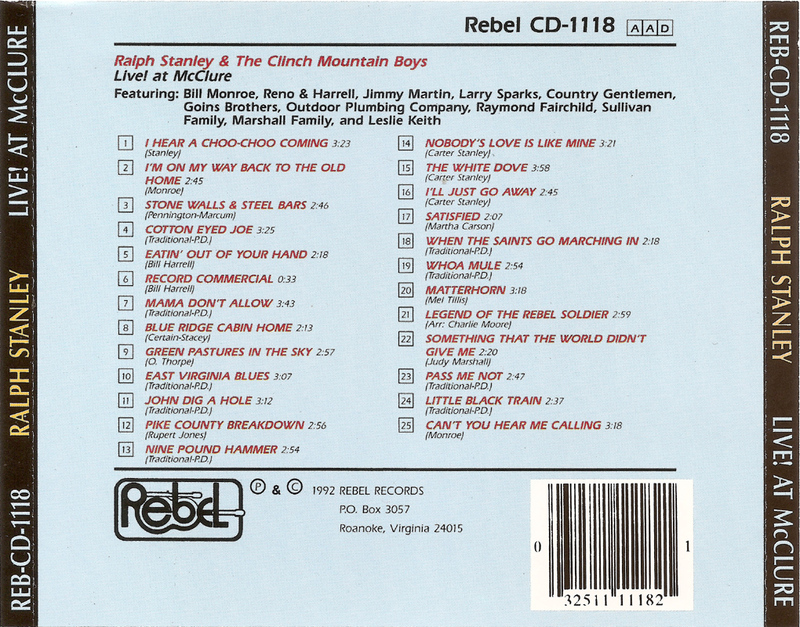 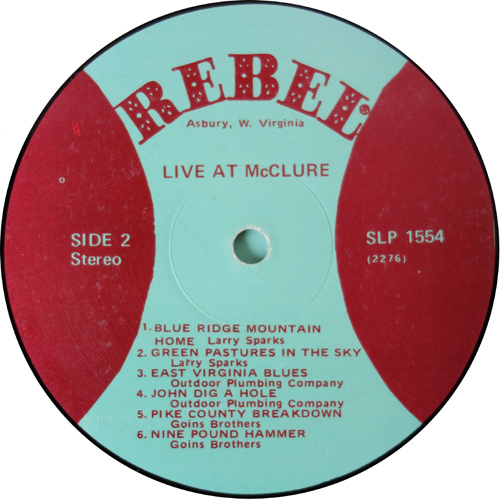 The Clinch Mountain Boys account for seven of the 25 tracks (or eight if you count the final jam session). 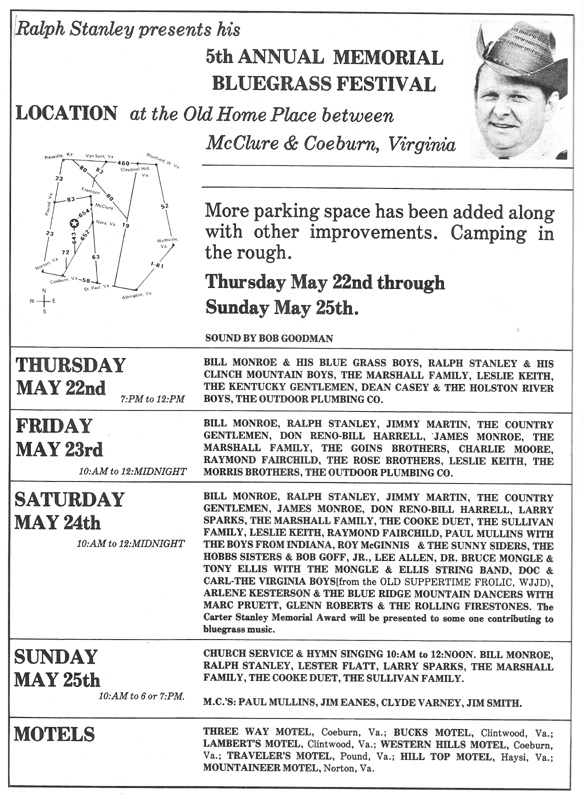 The remainder include Bill Monroe, Don Reno/Bill Harrell, Jimmy Martin, Larry Sparks, Country Gentlemen, Goins Brothers, Outdoor Plumbing Co., Raymond Fairchild, Sullivan Family, Marshall Family, and the legendary Leslie Keith. 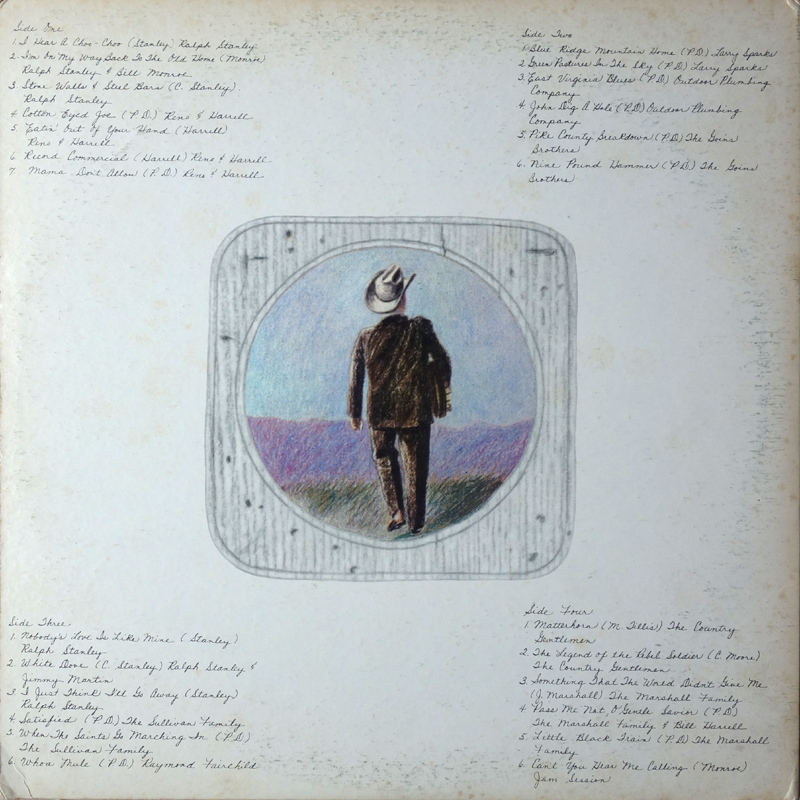 Fred Huffman did the artwork for Curly Ray Cline's It's Bread And Water For... and Who's Gonna Mow My Grass? 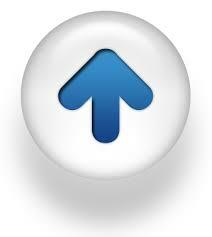 LPs. 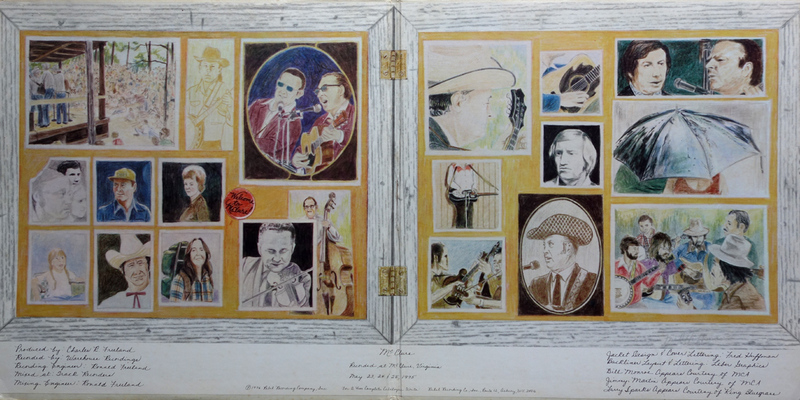 He also did the artwork for Ralph's Down Where The River Bends / I'll Wear A White Robe albums.